The rising cost of energy and pressure for facilities to become more efficient is quickly driving data centers to adapt solutions to better manage and plan for their day-to-day operations. A successful DCIM solution deployment allows a manager to understand, manage and optimize the myriad amounts of data under their control. 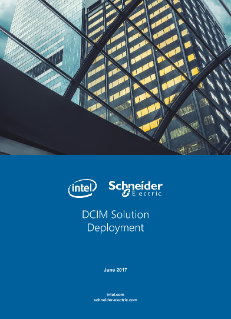 A recent ...study conducted by Morar Consulting, in conjunction with Intel DCM and Schneider, delves into the current state of DCIM solution adoption across, title and organization, to gain a granular understanding of the current reception, benefits, and barriers to implementation within US and UK-based enterprises.